Photography and Cinematography is about capturing a point of view or really your own point of view. To do this we all make decisions on location of the camera and subject as well as the time of day or night to shoot. Then when you are shooting you then need to decide what gear to use and one of the most critical factors to achieving a different look is what lens will I use? 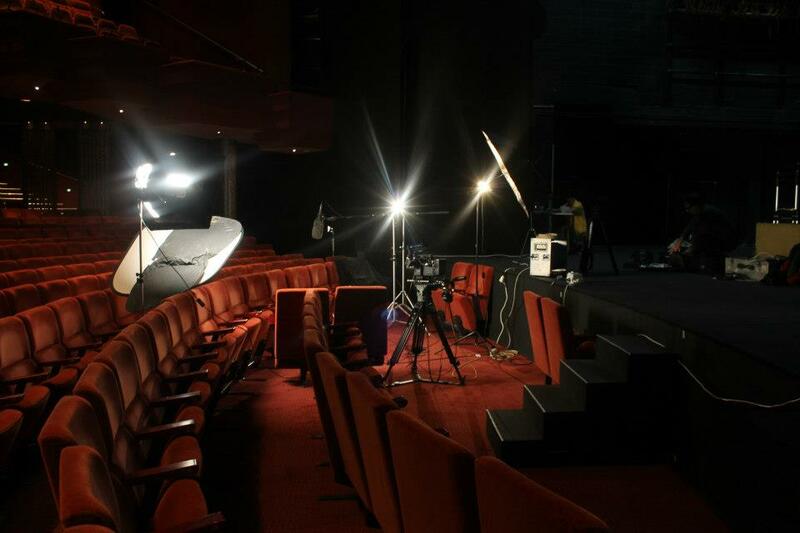 I have a big interview series shoot, where we are interviewing heaps of legends from Australia’s film and TV industry. 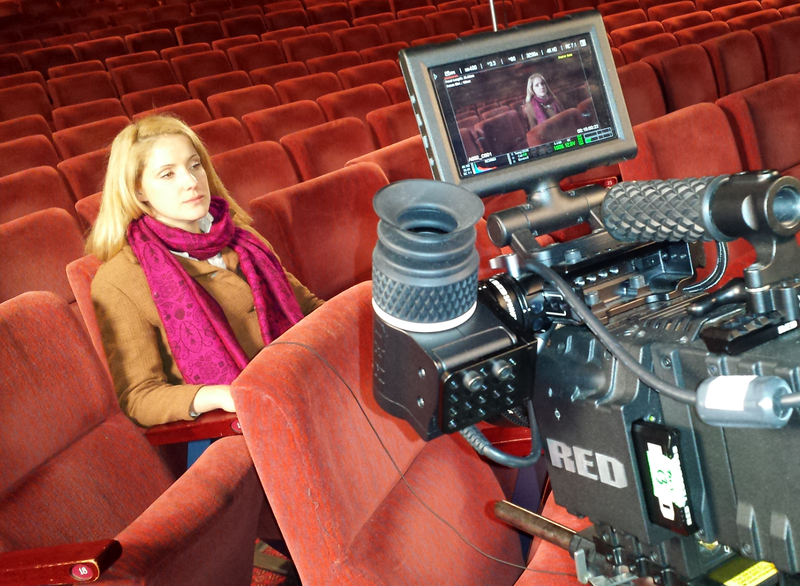 Shooting on a Red Epic to ensure nice short depth of field and and a cinematic feel to the finished video. Thanks to Eve Brown (Production Manager) for sitting in for the pre-light at the beautiful Theatre Royal. We decided to shoot at 4K resolution with an f-stop of 2.8 to achieve a beautiful soft background. The rich red tones in the theatre look superb. I am looking forward to the next few days of shooting with the great team from The Milkbar. 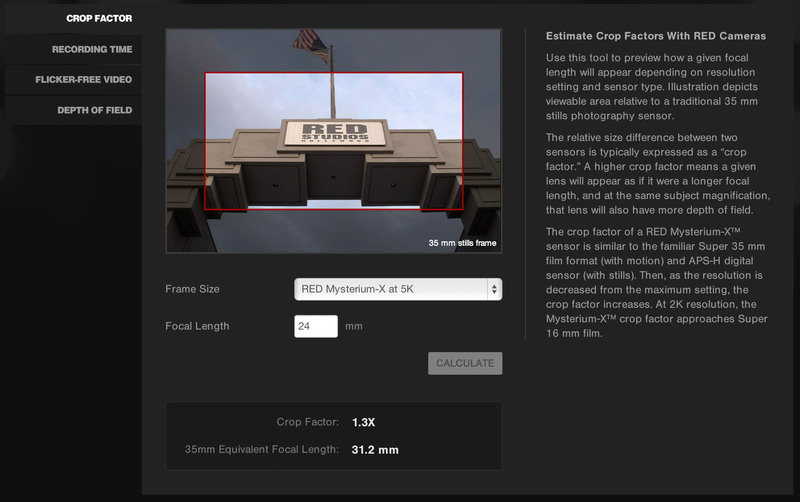 Red has just added some tools for Cinematographers and Photographers that use Epic or Scarlet cameras to their web site. The new tools are 1. Crop Factor 2. Recording Time 3. Flicker Free Speeds 4. Depth of Field. At the moment they are online but its rumoured that there may be an app version in the pipeline. I see the record time tool as the best as no other app seems to be able to do what this tool does. The Film and TV industry is forever changing, but of late I have been getting a lot more stills work and stills portraiture work. It seems while companies are holding off making Video communications they are still spending on good old stills photography. I have been having great fun shooting with the new Pocket Wizard remote flash triggers. I have the new MiniTT1 and 3 FlexTT5s as well as the AC3 flash zone controller. 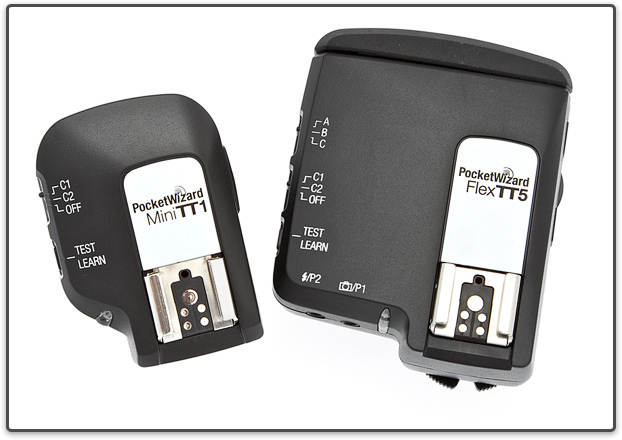 These are great, they have great range and are the most advanced flash triggers out today. They offer the ability to shoot well above the traditional flash sync speed – normally 1/200 or 1/250 of a second. In fact you can go all the way to 1/8000 of second, offering amazing shooting options and allowing smaller flash heads to be used to over power ambient light. This also allows you to shoot flash outdoors in full sun and work with a very shallow depth of field. 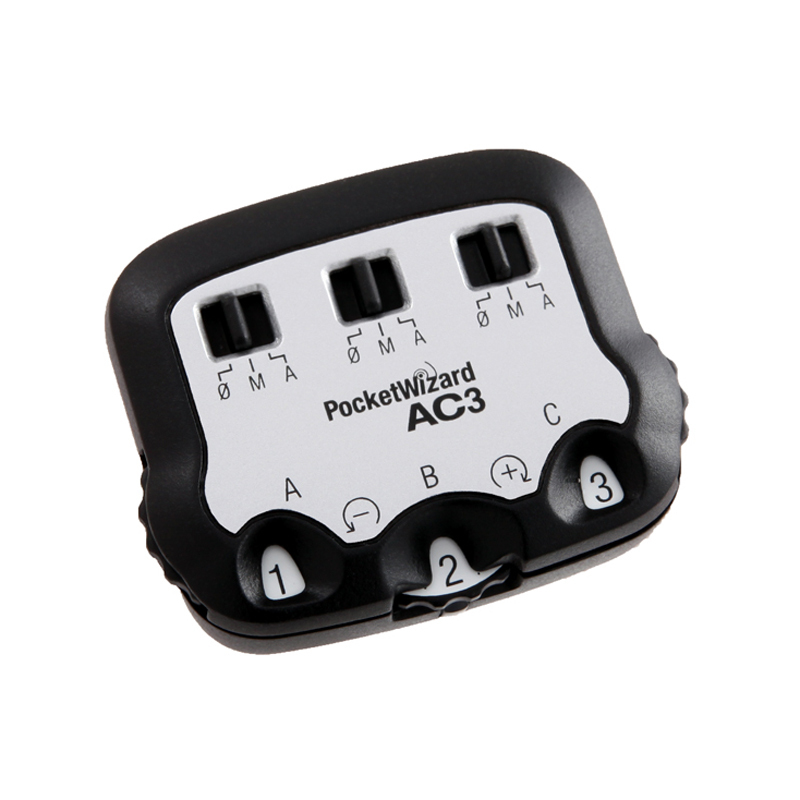 The AC3 zone controller is a great time saver. You can adjust the flash power from on top of your camera in up to three zones meaning no more running back to your light to adjust the power up or down. Another reason I enjoy the change of stills work is I can take a mile less gear. For a portrait shoot I can fit all I need into 1 Backpack and 1 Stand/tripod bag. Mind you I have the backpack jammed full. I normally carry a Canon 5D, 24-70 zoom, 70-200 zoom, Pocket Wizards, three Canon Speedlites, umbrellas, softboxes, stands and reflectors. Another great feature is the my Canon 5D can connect to my iPad allowing a lovely way of reviewing shots. 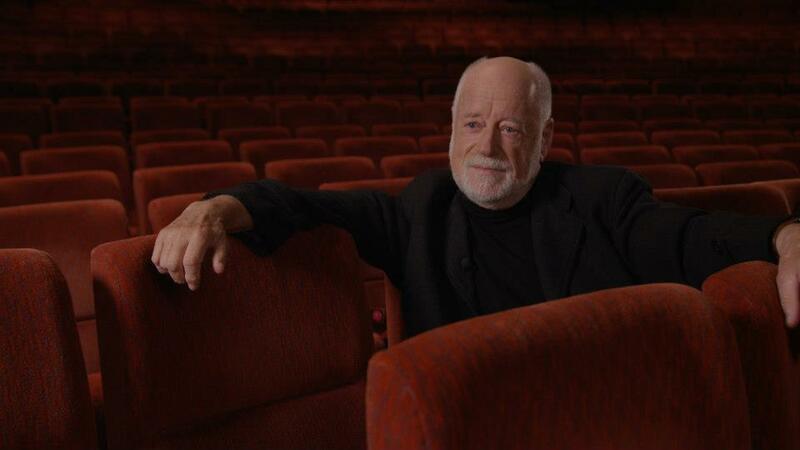 Stills are a great change and keep the creative juices going! 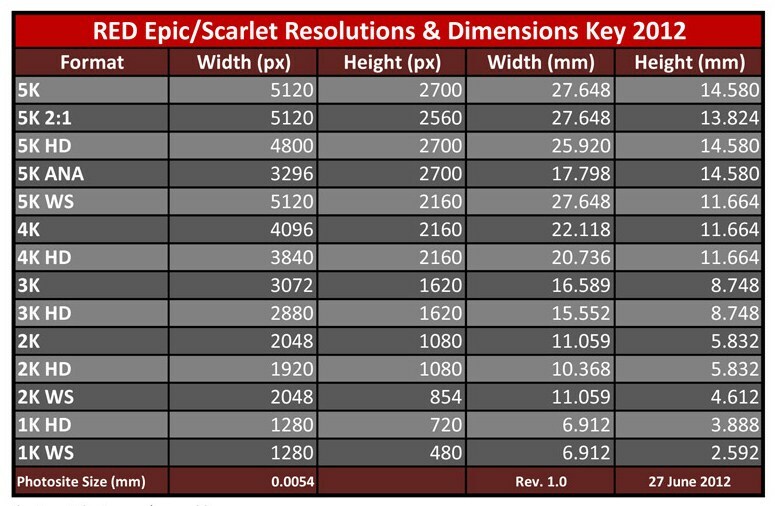 This chart shows the resolutions of the various RED formats and their corresponding dimensions in millimeters. Created by Danai Chutinaton. Thank you for the great information.